First thing is first. 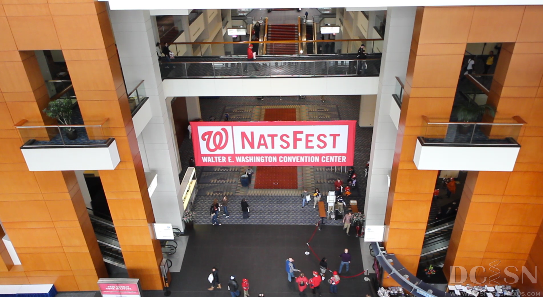 Hitting up Natsfest. 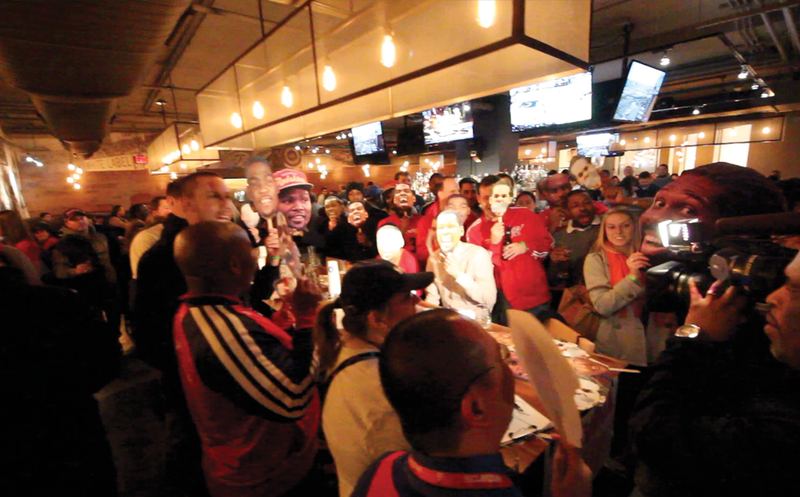 It is a fun event where you get to meet and listen to different people involved with the organization (players, coaches, management, announcers). (Here's what happened last time we went) While there isn't too much to do besides sit around and listen to the guys talking, it is fun to be around the players. (There are a lot of family activities and a lot of waiting around in lines and for things to start). 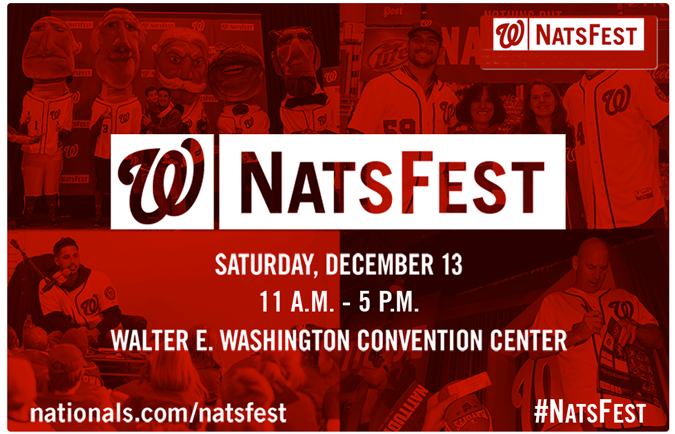 For more information and to buy your ticket, check out the Nats page. 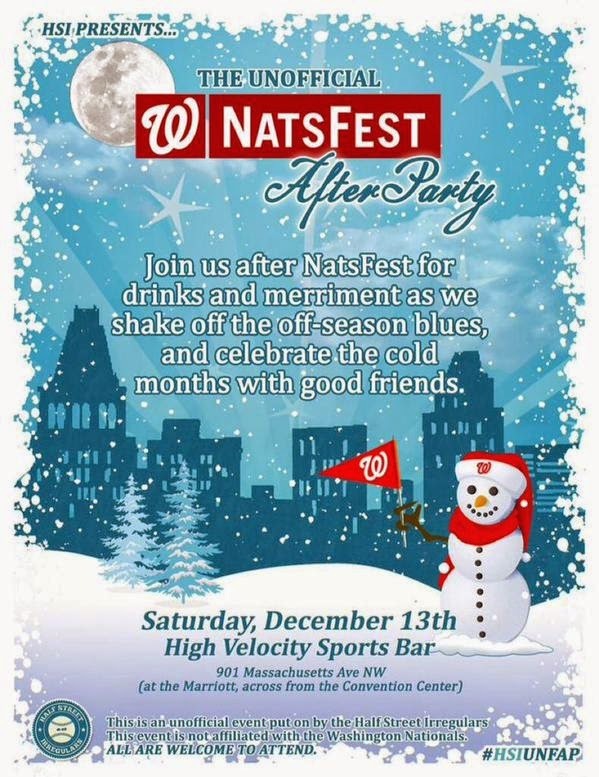 Now Natsfest is fun, but the real event is taking place following the baseball excitement at High Velocity Sports Bar (at the Marriott) where the Nats fan super group the Half Street Irregulars will be meeting up with other DC Sports Fans for some great drinks and baseball talk. We know this is a Wizards oriented site but we know that we have a lot of baseball fans who also like basketball. We hope you can stop by and say hello. And if you want to talk Wizards, that will be even better! 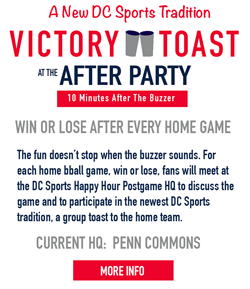 Spread the Wiz love to Nats fans!